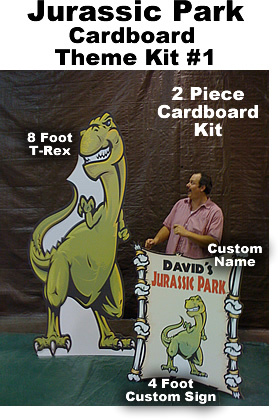 Jurassic Park Cardboard Kit #1 - Dino Rentos Studios, INC. Allow 5 days for manufacturing. Expidite Service Available. Resellers: Call for Multiple Unit and Shipping Discounts.